This is NOT a post sponsored by REI and all opinions are my own. Do you guys have any of these items? I grew up with a cooking iron and loved it! We made pizza pockets all the time and a couple years ago I actually made an apple pie and corn bread in one. The one we have now though isn't cast iron and didn't work as great as the one from my childhood did so we upgraded. I'm really excited about the collapsable sink because it wraps up so small and light and I'm curious (and hopefully) about the herbal insect repellent for Gabriel. 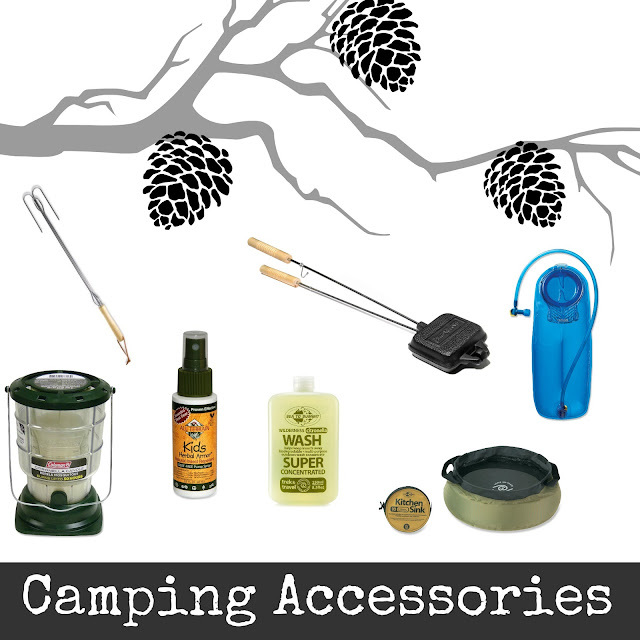 What are some of your favorite camping accessories? Have you ever camped with an 11month old? Any tips?! Where and how he is going to sleep seems to still be up in the air. Feel free to also check out my camping board on Pinterest.